When you&apos;re making plans for your special day, whether it be your wedding day or a special event, choosing your hotel or accommodations, where your guests will stay, is a very important part. 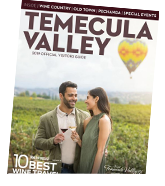 Temecula offers a variety of accommodations, something for everyone and you&apos;re guaranteed to always find warm Southern California hospitality. Experience the breathtaking views of wine country, the history of Old Town Temecula, magnificent golf courses and the beauty of the great outdoors. There are a wide array of accommodations to select from. Most hotels feature a variety of packages geared toward a total Temecula experience. There are packages for golf, wine tasting, hot air ballooning, romantic getaway, spa adventures and more.